Quentin Tarantino comes clean on Harvey Weinstein: "I knew enough to do more than I did"
Many in Hollywood have worked with Harvey Weinstein over the past couple of decades, but no one is more closely associated with the now-disgraced studio mogul than Quentin Tarantino. 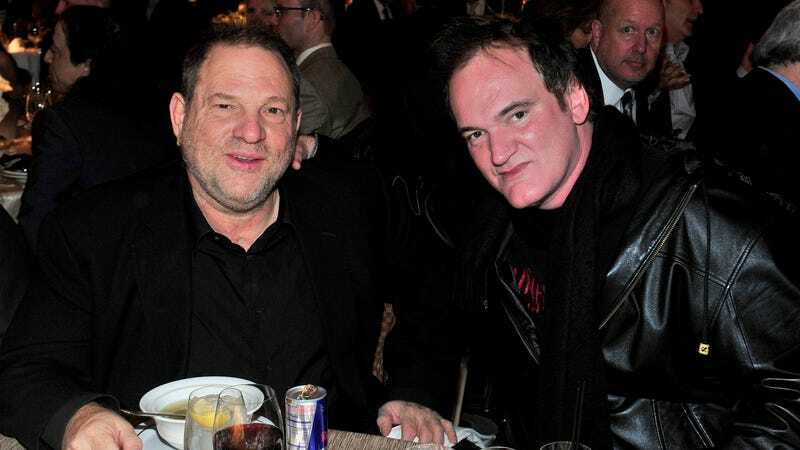 All of Tarantino’s films were financed by Weinstein in some capacity, and the two have been close friends for more than 20 years. (Weinstein threw Tarantino an engagement party just a few weeks before the allegations broke.) So when the sexual assault and harassment allegations against Weinstein, reportedly long an “open secret” in Hollywood, first became public, the question naturally arose of how much Tarantino knew about his buddy’s behavior, and why he didn’t stop it. Last week, Tarantino gave a preliminary statement through actress Amber Tamblyn, saying that he was “stunned” and “heartbroken” and promising to speak publicly on the allegations after he’d had some time to process them. Well, today Tarantino followed through with an interview with The New York Times. Where Tarantino admits his own culpability in the situation is not pursuing the stories he had heard about Weinstein further, assuming that they were limited to just the women he knew about. He says that he chalked them up to old-fashion chauvinism, “a ’50s-’60s era image of a boss chasing a secretary around the desk. As if that’s okay. That’s the egg on my face right now.” He also admits that it was financially beneficial for him not to look into Weinstein’s actions too closely: “I wish I had taken responsibility for what I heard. If I had done the work I should have done then, I would have had to not work with him,” Tarantino says. In the interview, Tarantino also calls on men in Hollywood to take action and not allow the “almost Jim Crow-like system” that keeps women on the margins of the industry to continue. “I’m calling on the other guys who knew more to not be scared. Don’t just give out statements. Acknowledge that there was something rotten in Denmark. Vow to do better by our sisters,” he says. Channing Tatum cuts ties with The Weinstein Co.